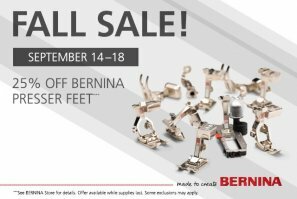 Fall Sale - Best Finanacing of the Year! 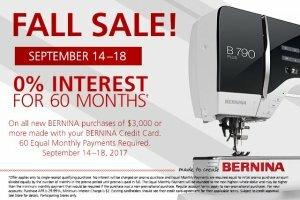 We are featuring the Quilter's Cloud Nine - purchase with a Bernina 350 or 380 and add the Cloud Nine (MSRP $2264) at 30% savings ($1500). Or the Eclipse 1 (MSRP $1599) at 30% savings ($1200). Either cabinet features an electric lift. 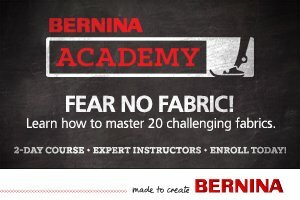 Payments as low as $50 per month!